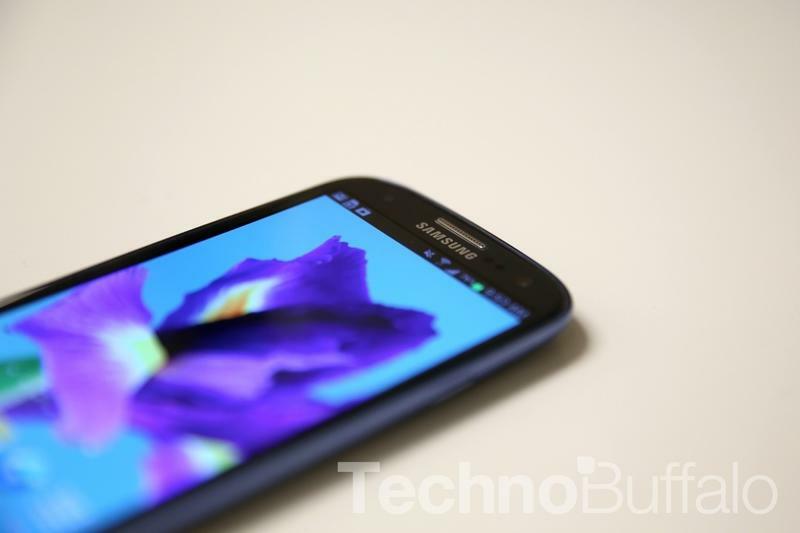 Instead of actually having to touch the Galaxy S IV's screen to scroll, a built-in eye-tracking tech will do that for you. An anonymous Samsung employee told The New York Times that the device, which is set for an unveil on March 14, will determine where a user's eyes are and in turn scroll according to where the user is looking. It sounds very science fiction-y. And awesome. "When users read articles and their eyes reach the bottom of the page, the software will automatically scroll down to reveal the next paragraphs of text," The New York Times explained. The source declined to say whether Samsung would show the feature off during its event this month, which is a little strange—perhaps it's not ready. The company actually filed for a recent trademark in Europe and the U.S. hinting at the technology, so who knows how fleshed out the feature is. Samsung already has experience in the field with its Smart Stay feature on the Galaxy S III, however, which keeps the phone on while users are looking at it. As we've heard before, much of Samsung's focus will be software related, rather than an outright war on specs, according to the anonymous source. Aside from eye-tracking, it'll be interesting to see what else the Korean company has lined up. We'll be in New York to touch and see what Samsung has in store.